They spent their lives together, with only each other, in a backyard. Their owner decided he didn't want them anymore and took them to the city shelter. Due to the large volume of dogs there, Ben & Jerry ended up on the kill list and given just hours before being euthanized. With just minutes to spare, the wonderful Dog Ranch Rescue committed to save this pair, get them healthy, and find them a forever home. Our FarmHouse Fresh team spent a whole day styling and loving these two, and they left our photo shoot covered in lipstick kisses! 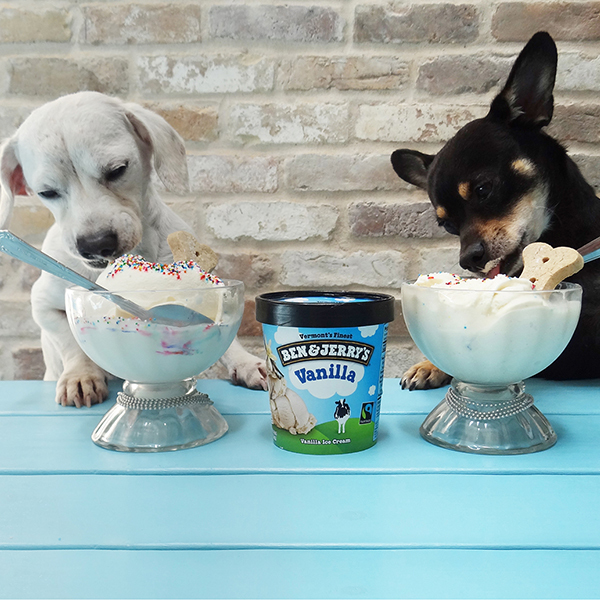 Our goal was to reach out to you, our customers, so that you could spread the word and help us find Ben & Jerry forever families. Plus, we were delighted to gift a year's supply of scrumptious FarmHouse Fresh products to their approved, long-term adoptive owners. We are thrilled to announce that the year supply of scrumptiousness is on its way! 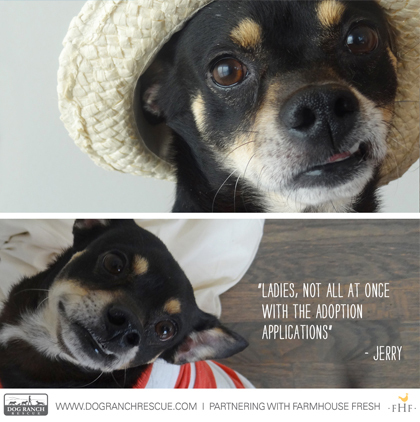 Lone Star Dog Ranch Rescue found a forever home for Jerry! He is loving his new family in Colorado. 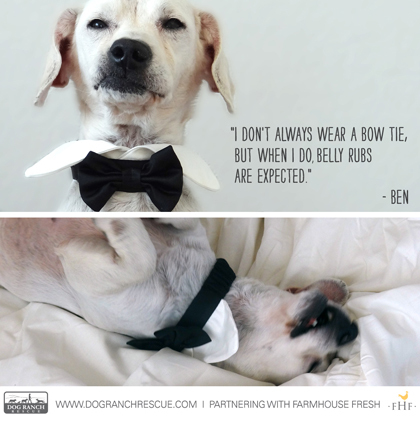 And Ben, who they like to call a "cool old dude," is living out his golden years at Lone Star Dog Ranch, where their fabulous team has helped him overcome painful teeth issues and more. He now gets to spend long lazy days in the sun. 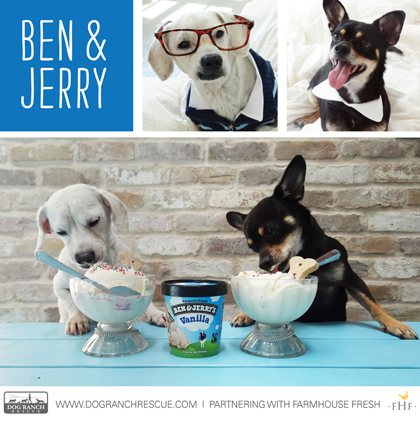 If you live in the Dallas area, you simply MUST check out Lone Star Dog Ranch (a much-loved boarding and daycare ranch) that also operates a rescue called Dog Ranch Rescue. 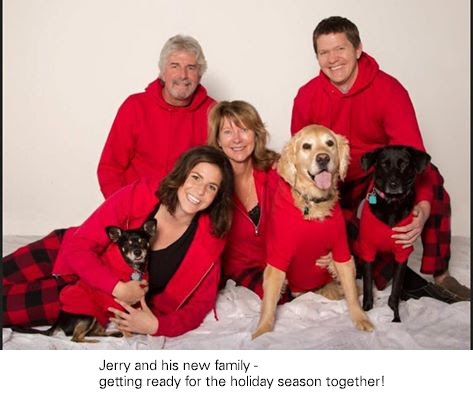 On a daily basis, the Lone Star Dog Ranch team gives their heart and soul caring for dogs in the community and those they rescue. Dog Ranch Rescue is a registered 501-C3 organization, which means that all the care for their animals is based on public donations. Your purchases of FarmHouse Fresh products made a difference! If you are moved by this team's efforts, consider making a private donation.